I have recruited a great team of people, who I value enormously. We are gradually growing the business and enhancing our services. Clearly professionalism and confidentiality are vital requirements for all our staff, however I also place great emphasis on honesty. None of us are perfect and when mistakes are made these are quickly clarified and resolved. Financial planing is really all about you. It is not about financial products, hence our site is rather different from most adviser firms who seem to focus on and promote financial products. The truth is that financial products are pretty dull and a financial plan has relatively little to do with them. Putting together a financial plan is a fairly involved process (for us) and in truth requires your partnership and engagement. That’s because the plan is unique to you, its bespoke to who you are, your values and objectives. Your financial plan is a route map to your future. Our team will work together to draw all of the elements of your financial plan together and just as importantly, ensure that it is monitored and reviewed. It is therefore vital that it is impartial, relevant and measurable. We believe that your experience of financial planning will be so different to what you have experienced before that you will want to delve deeper. We also suspect that like our other clients, we will develop a long-term client relationship, built upon mutual trust, enabling us to create and provide a valuable service. Email Recruitment for current job opportunities with Solomon’s. The financial transition from a working life to retirement is a difficult one. Decisions need to be made with the confidence of a strong financial background, so it has been invaluable to have the expert knowledge of Dominic and his team to help us through in these testing times. Dominic is a very good and patient listener, always insisting on fully understanding our situation and future needs. He answers questions I haven’t even thought to ask and his advice is down to earth and available at a level we are comfortable with. We are very grateful for and reassured by his help. 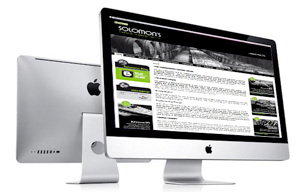 I can and do thoroughly recommend the service provided by Dominic and his team at Solomon’s.